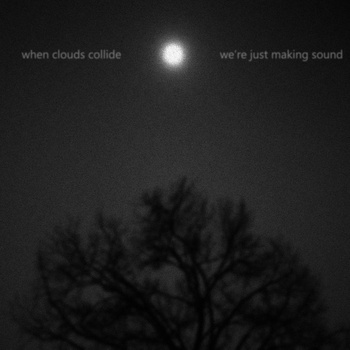 When Clouds Collide release We’re Just Making Sound on the German based record label, Oxide Tones. 10 tracks in total clocking in at just over 47 minutes. Based in New Jersey in the North East of the USA, they have really embraced the genre with this solid release. They list a host of bands are their influences across a few different genre, but they have resisted the temptation to sound like those influences. I like the ambient, post-rock, minimalist sounds throughput the album. I also like the quiet/loud aspects of their music, and the strings are very well placed in the music, the strings just bring out that bigger, more expansive, fuller sound. The quiet is very ambient and dreamy while the loud is big sounds but well controlled big sounds that don’t go totally crazy, they seem to hold back rather than letting it all go. All in all an awesome release, which is well written, produced and performed by these two talented musicians. If you haven’t heard this then I urge you to do so. This entry was posted on June 13, 2012, 10:22 pm and is filed under Playlists. You can follow any responses to this entry through RSS 2.0. You can leave a response, or trackback from your own site.